﻿Last month marked the 3rd anniversary of my arrival in New Zealand. I remember the first time I set foot in Christchurch Airport, I had a feeling of excitement I'd never imagined. 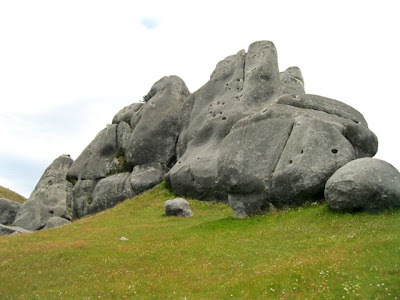 I didn't know what to expect of the people, the place or the NZ life, but I was so psyched to find out. 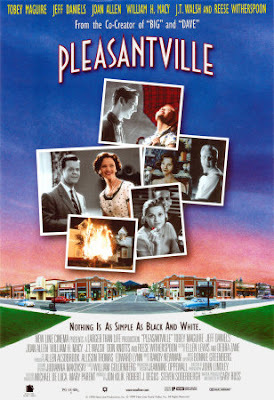 My first impression of Christchurch was that it reminded me of the film Pleasantville. Everything looked so picture perfect, it almost felt like I was in that movie. Have you seen it? Anyway, hubby and I decided to live in a suburb called Kaiapoi so that we could be close to Esperanza, a Sabahan whose sister was my close friend back in UPM. 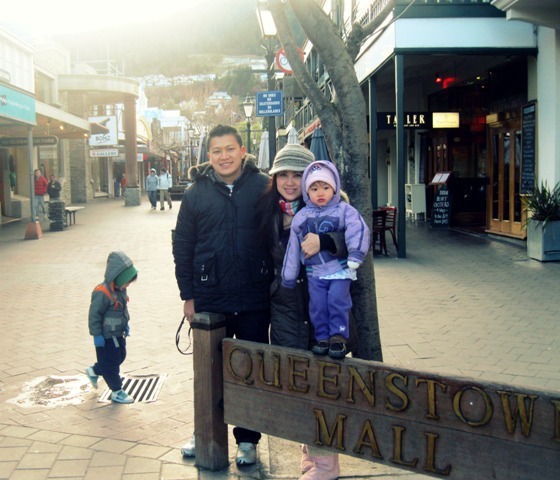 We'd known each other for quite some time so it was nice to have at least one Sabahan friend in Christchurch. Before getting our own shack, we crashed at Es' place for a few days. She and her husband were really kind during our stay but we didn't want to invade too much of their privacy. 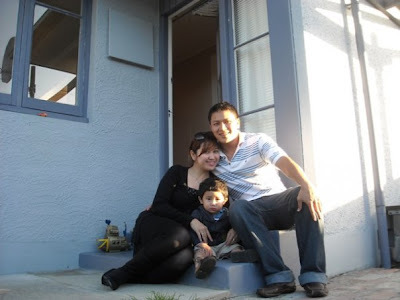 For this reason, our house-hunting process was done in a rush, as in, we surveyed 4 houses, saw one that we liked and immediately put a deposit on it. After getting all the paper work sorted out, we moved in right away. The first 9 days were nice and peachy. We settled in, bought furniture for the house and made it look like home. Things changed on the 10th day when I took a pregnancy test at home. The result said: You're knocked up! My reaction to this was: HABISLAH SIA!! I know that sounds like I'm a horrible human being but I really wasn't prepared for it. The thought of having a second child was scary because 1. I was in a new town, without any family support, 2. I had to look after a 2 year old hyper-active boy and 3. I was supposed to focus on my study. It was madness. As usual, hubby comforted me and said that everything would be okay. I guess the brief counselling worked cos I began telling myself the same thing; that everything was going to be fine. After a couple of days, I started to embrace my pregnancy and told my family about it. What I found hard about being pregnant was not being able to fulfill my pregnancy cravings. Asian restaurants were limited in Kaiapoi, so getting authentic Malaysian food like kon-lau-men, nasi lemak or fish-head curry was an impossibilty. Because of this, and the fact that I had morning sickness throughout the second trimester, my pregancy sucked a lot. After enduring eight months of unfulfilled pregnancy cravings, Alva was finally born. I was so thankful that she didn't show any signs of kobihis symptoms. Nasiblah! Anyway, right after I delivered, my family came for a visit and helped me out during my confinement period. Another few months went by and before we knew it, we'd spent a year in Christchurch. The second year was definitely nicer than the first. Some of the things that made me happy were: 1. I managed to adapt to the weather and food, 2. After delivery, I could see my toes again! 3. Alva turned out to be a very settled baby and 4. Hubby and I moved to the city. 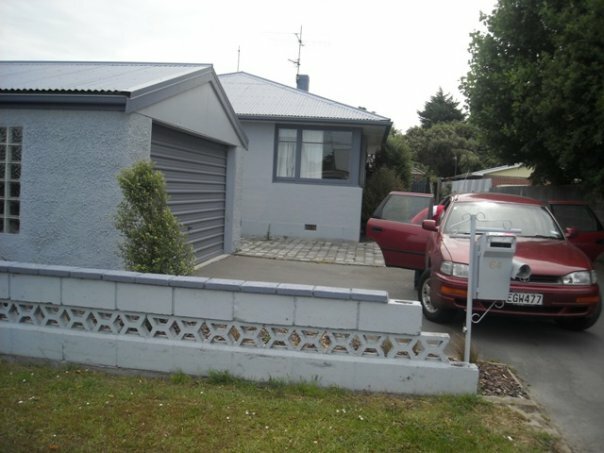 We realised that living in Kaiapoi wasn't cost effective as I needed to commute from Kaiapoi to Christchurch every single day. For that reason, we moved to the city and rented a two-bedroom house 1km from the Uni. I loved the idea of being close to the CBD cos there were more things to see and do. China Town market was only 10 minutes walk from home and most of the Chinese restaurants were close by. 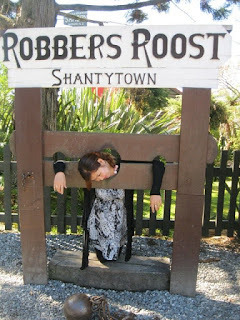 As I explored more of Christchurch, I started to feel more settled too. I knew where to find Asian food supplies, get the freshest fish in town and find boutiques that had the best bargains. Another reason why I felt happier was because we had more flexibility to explore the South island after Alva was born. When she turned 4 months, we started to go on road trips during holidays and weekends. Barbecue picnic with friends at the park also became a regular thing for us. Months went by and before we knew it, we'd spent another year in Christchurch. The third year was definitely the most challenging. 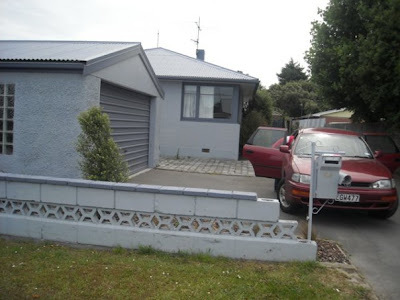 Like other Cantabrians who were affected by the February 22 earthquake, I had to go through a lot of changes in life particularly in the areas of my study. My office was damaged, my data inaccessible and the whole campus was closed for a few weeks. It was a hard time for everyone. Things slowly picked up in June but they were never the same again. It took the uni 4 months to recuperate from the disaster and another 7 months for everything to go back to normal. Despite all that gloomy setbacks, I do have a couple of things to be grateful for. After the big quake, mom came to stay for 3 months to help out with the kids. She did all the cooking, babysitting, cleaning and nagging. Hehe. After she left, dad took over and came to stay with us for 2 months. Dad's a bit laidback in the babysitting area but I didn't mind it at all. Example of being laidback? He'd let the kids EAT Milo and dip their fingers in the peanut butter jar. Siok kan? Sis and Carol also came for a short visit in September. Thanks to them, hubby and I could travel to Wellington without the kids, and get our certs from the Malaysian High Commissioner. All in all, I was pampered for 5 wonderful months. After everyone left, it was time to focus on my thesis and spend more time with Yoda. The pressure started to pick up when Yoda told me to get two chapters done by September. Things got so very hectic, I hardly had time for anything else. Two miserable months went by and before I knew it, I'd spent three years in Christchurch. Amazing how time flies eh? Living here has proven to be a very enlightening experience. I know from time to time, I complain a lot about what's lacking in Christchurch bla bla bla. But then, if I could do it all over again, I'd probably take the same path. You complaint coz you probably miss home bah tu kan.. hehe..how time flies.. makes me think of my years in ipg, 2 and a half down, 3 years to go.. the number makes it seems so long but see its the end of the year already..
Dora A - YA! Sedap kan..hehe..tu la the kids suka..
Isabel- Your comments always cheer me up :) Thanks bel. How time flies kan kak..tia sangka you three years there already..hehe..cant wait for you to come back~ so my visits to KK will be more interesting~ hehehe..take care kak! Very nice New Zealand. Great shots! We'll meet again soon!!! hahaha kasi semangat for you to finish ur thesis and come home for good pretty soon too. Ala. Tida sempat sa melawat ko sna. Hehe. Ennie-You're right. Am very grateful for that :) Thanks moi. Kay-YUP!!! We'll see each other soon ya? Semangat ni Kay mau par-tay when I'm finally done! :) Thanks!